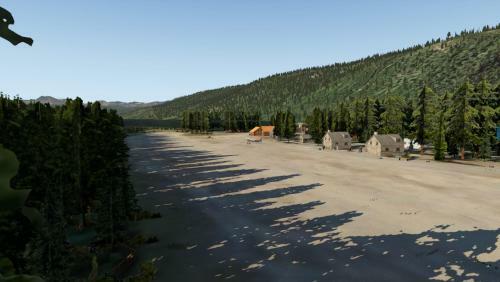 Another quality scenery release for X-Plane from all appearances. 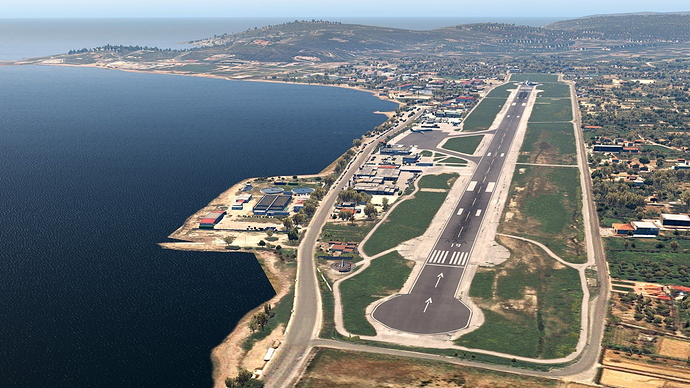 Apparently under development by newcomer Descent2View the Greek island airport/scenery of Chios Island. I’ll probably pick this one up for a future Challenging Airports article since it ticks off some of those boxes - short-ish runway, some terrain, and a fun 90 degree intercept to the final approach on the traditional instrument approaches. 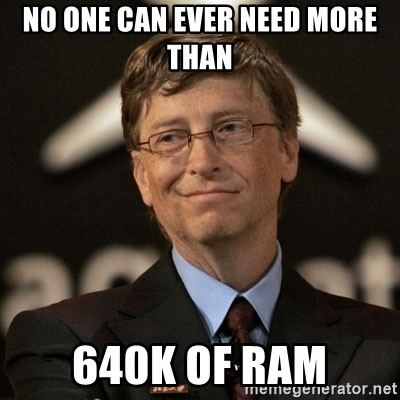 How many gigs do you all have dedicated to your XP11 installs/add ons/mods? My XP11 install is at 124GB right now. I don’t have the internet connection for downloading Terabytes worth of Ortho data. Err…my XP11 install is 1.54TB at the moment. 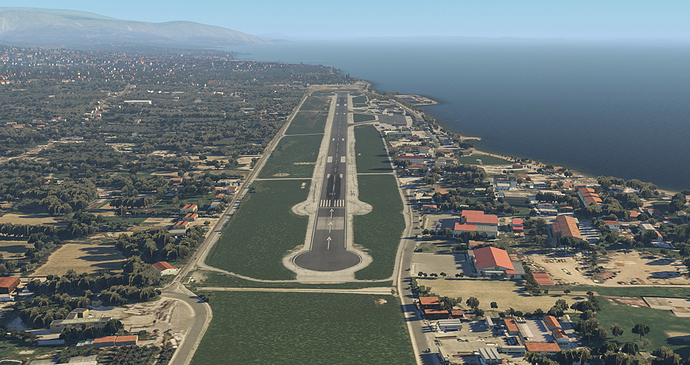 I blame @fearlessfrog for his Ortho tutorial. Haha - that’s crazy. Not that long ago that would have been the total data storage capacity of a country! That looks pretty awesome. I wish there was a good way for them to package all the required libraries though. It becomes a real hassle to work through the list of required libraries. This package looks like it will be worth the time and effort. 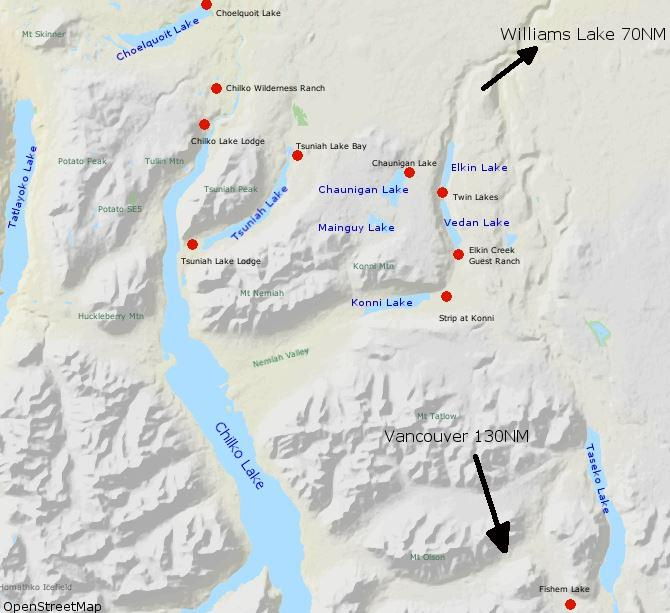 This area is just 100nm from Bella Coola. Well, I spent a good part of the evening getting this installed, along with a few other airports in the region by the same author. It was well worth the effort. 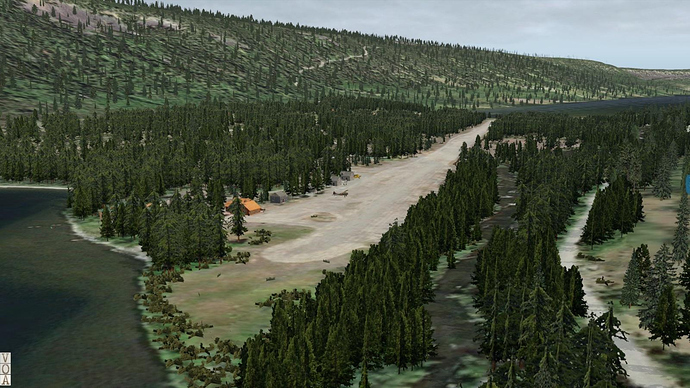 Some of the airstrips have some problems with the terrain. Maybe a better mesh would help there. Despite these small problems, flying into and out of these strips is a fantastic experience in VR. I’ll do some more flying in the area tomorrow hopefully and take some screenshots. Despite these small problems, flying into and out of these strips is a fantastic experience in VR. I’ve been flying the ASG Super Cub a lot around Bella Coola trying to determine how well it works with 11.21. The two issues people bring up are an optimistic glide ratio and poor ground handling, thought to be related to how recent versions of XP represent prop wash against the fuselage. I’ll give that the second is true. When accelerating and passing through 40 kts (about the time the a/s needle becomes active), the aircraft lurches hard left. I’ve learned to beat it by getting the tail wheel off the ground ASAP and simultaneously holding a smidge if right toe brake, but it’s a precarious dance to keep it on the pavement. The SMS Beaver used to do the same thing, but was fixed with their last last release of that product. Since ASDG has gone missing, it might be up to the community to solve. On the glide ratio issue, I don’t fly complex aircraft IRL enough to judge. 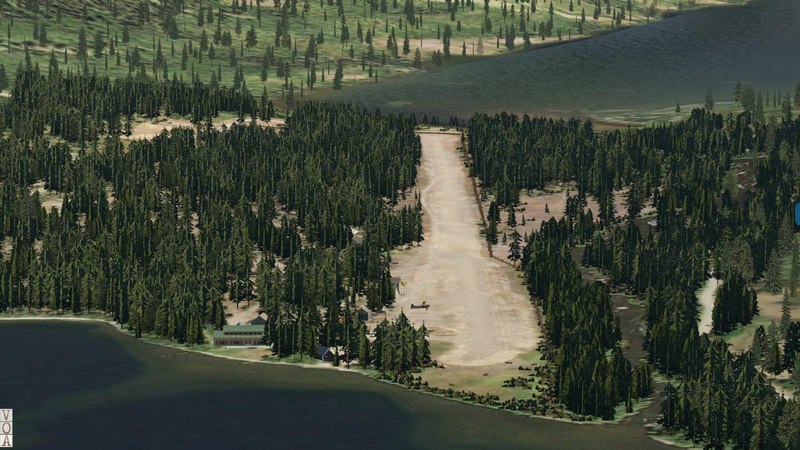 But if I fly the same pattern that I do IRL in a Skyhawk, I.E. pull power back to 1800 mid field, trim for 80 kts, add notch of flaps in the white arc, 70 kts on base, and 60 on final, I can put the Super Cub on the numbers every time. The only difference is that with the SC, I’m pulling off all of the power, which results in about 1500 rpm with prop at full fine pitch. But, it’s the same with the JF Arrow, so either that is correct, or the engine modeling for both aircraft is the same. 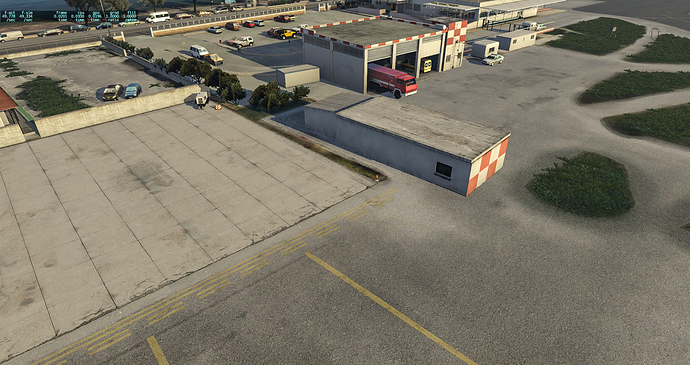 In short, if the ground handling was tamed a bit, I’d be really happy with the ASDG Super Cub. I’m already flying it now more than other aircraft. In other news, a good friend of mine just bought a J-3 and is getting it airworthy. Can’t wait to fly it. Aerostar 601P has been released. I don’t have any experiences with this developer (he also made the Aero Commander)…so no input there. The Aerostar is a pretty nifty airplane - quite the performer, and quite the handful on a single engine. The product page doesn’t show a lot of shots…so I’m not sure of the overall quality. Q8 pilot is a big fan of the Avia71 developer so it wouldn’t surprise me if he had a video review on his YouTube channel some time very soon.